If you're one of the few regular readers of this blog and not just a googler, you should remember my obsession admiration for Garth Nix. I particularly loved the Abhorsen Trilogy. Which is why I may have flipped out a wee bit when I saw he had written another one! Clariel is not a sequel to the trilogy, but rather a prequel that takes place hundreds of years before. Clariel is a loner who just wants a simple life of living in the woods and working as a Borderer. Unfortunately she is part of an important family with ties to the Abhorsen and the King and when her mother is called to live in the city, Clariel must go with her. While there she is drawn into political intrigue and murderous plots, and discovers that she is a Berserker. Her berserk nature makes her very vulnerable to free magic and makes it very hard to resist free magic's tempting power. 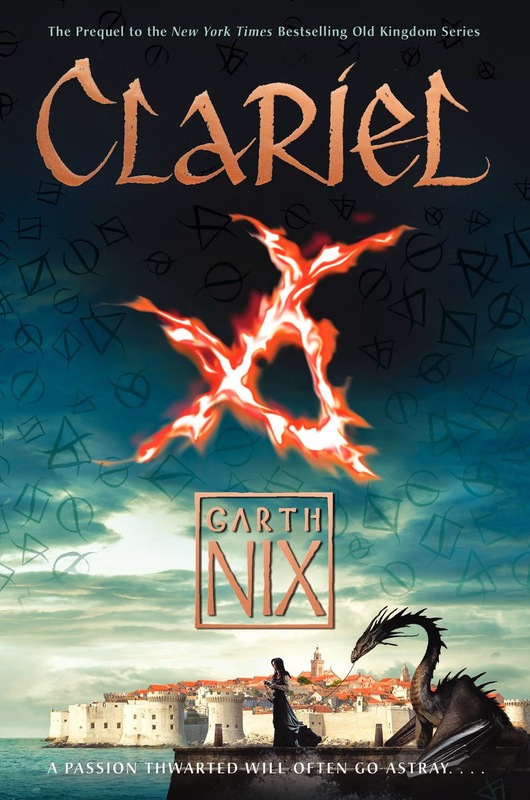 Clariel is an interesting character, unlike any of Nix's previous heroines. She is flawed, and while some of her actions are understandable, she is more of an anti-heroine than a truly likable character. I'd rather not give away any spoilers, but when Clariel's identity is revealed at the end of the book, it's clear that this is an "origin story." I didn't love-love this one as much as I did the others but in retrospect I think it was because I didn't know what I was reading. I kept waiting for Clariel to be the hero, to be the next Abhorsen, to be what I expected. But that wasn't what this story was and I don't think I was supposed to love her like Sabriel. The more time I have away from it, the more I appreciate it. I am REALLY looking forward to his next Abhorsen book which IS a sequel.